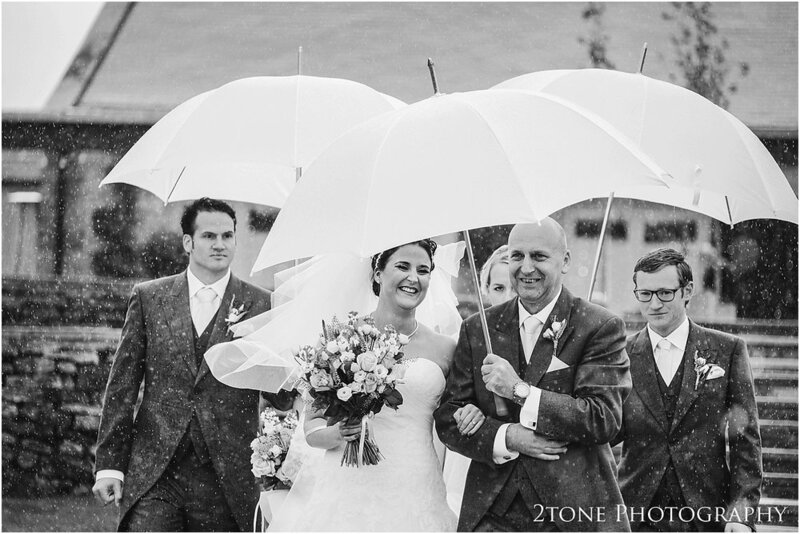 They say, it's good luck to rain on your wedding day... 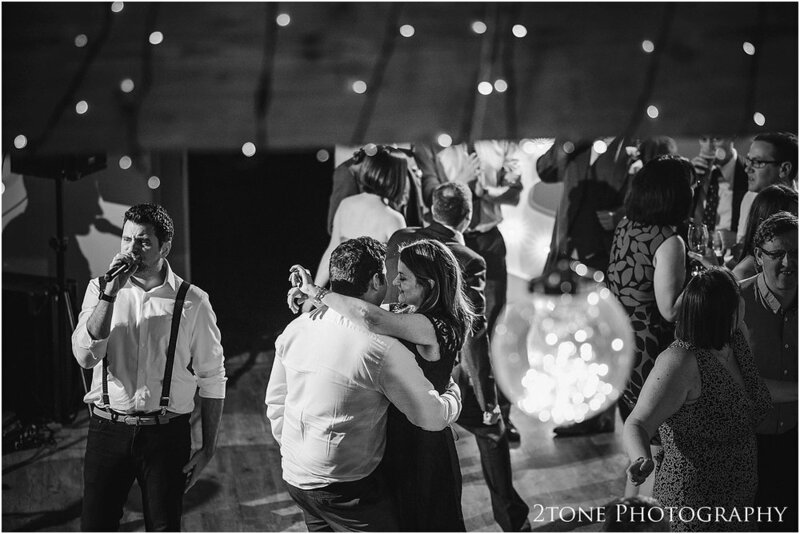 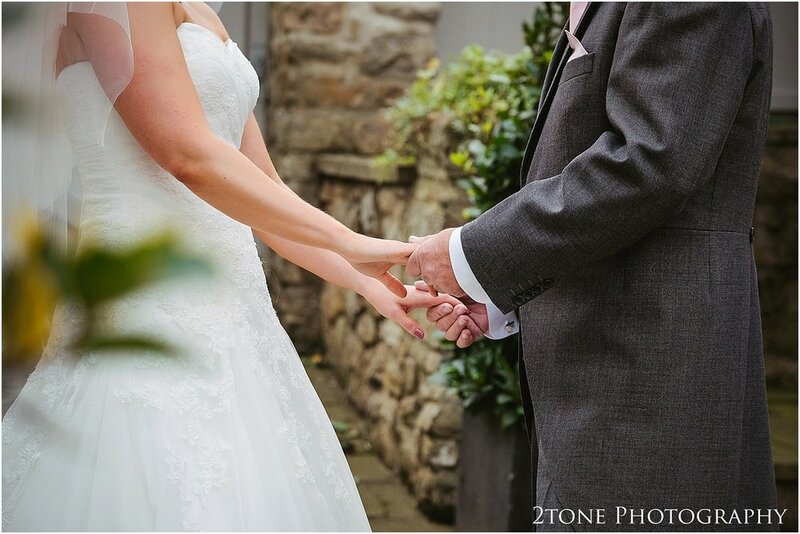 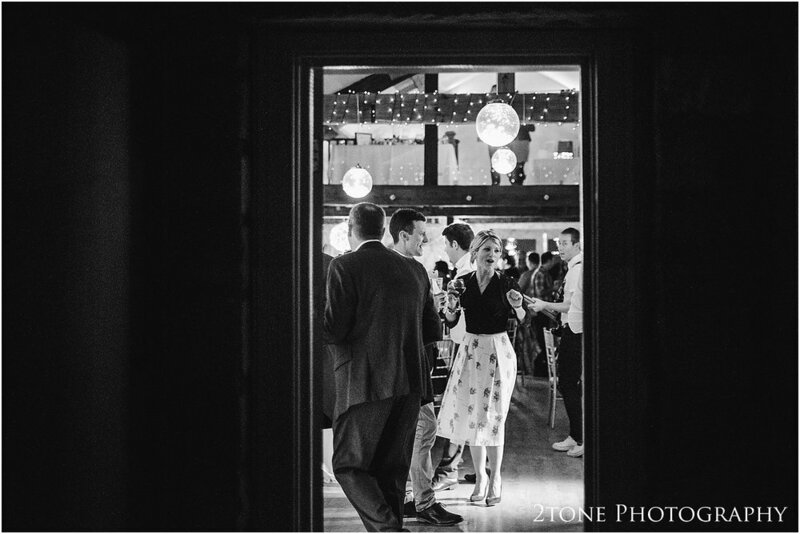 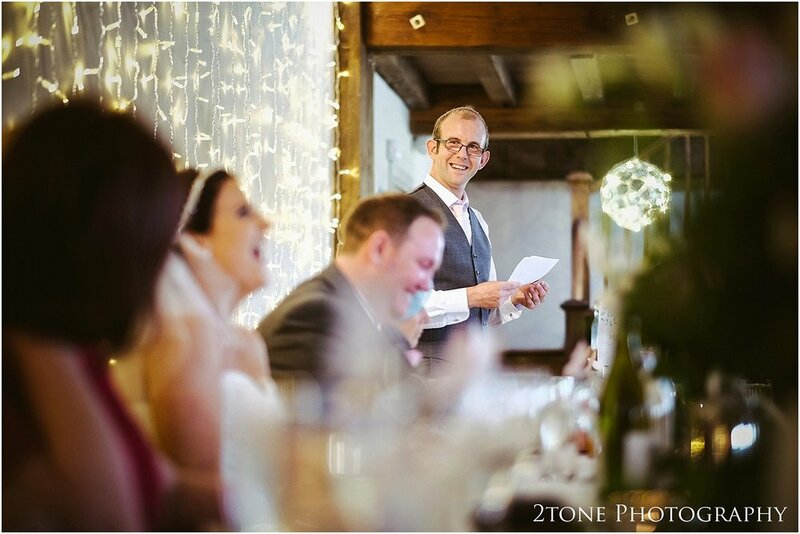 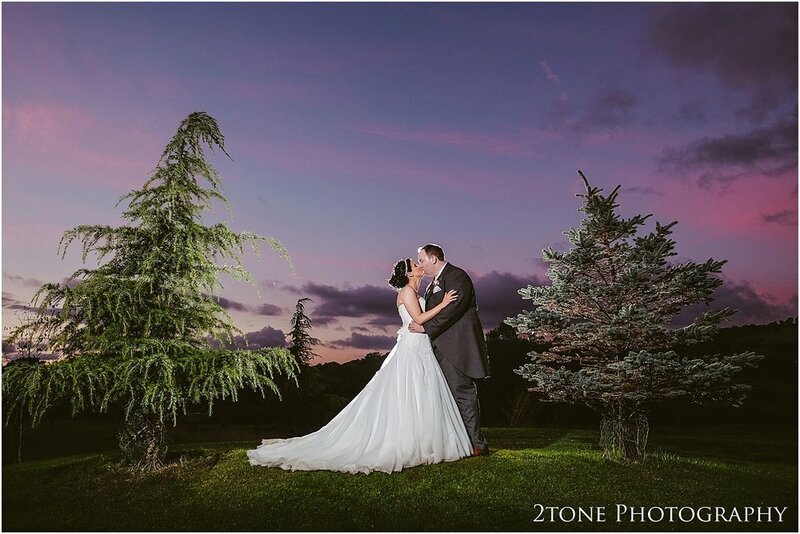 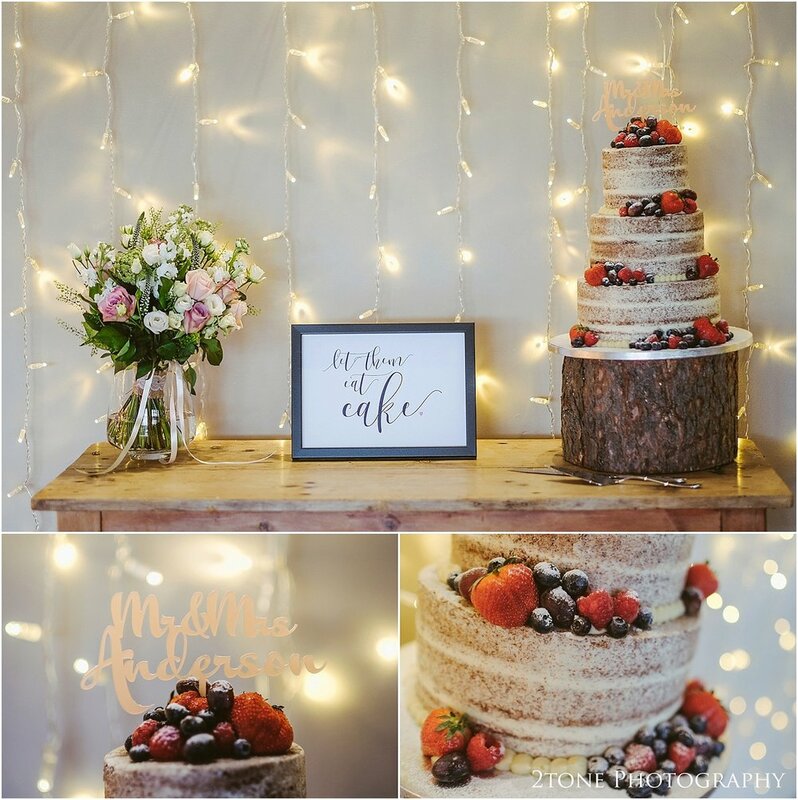 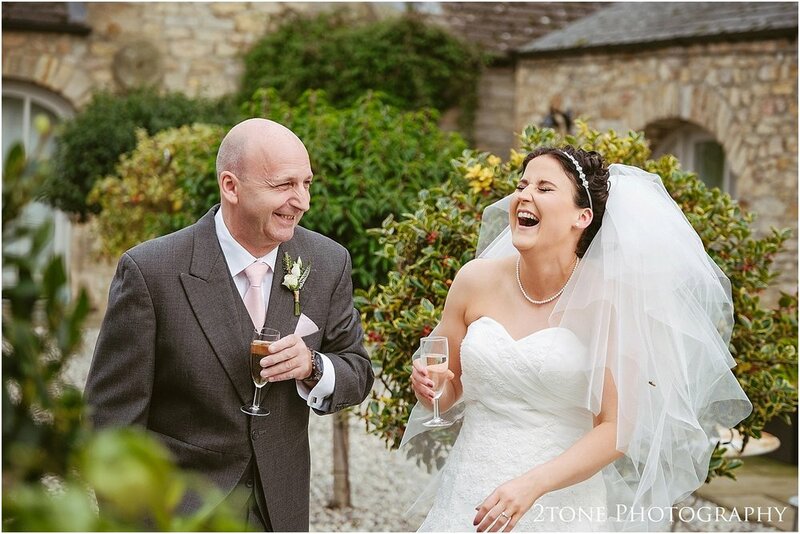 So often this is said to as a little consolation to the bride and groom who dreamed of an outdoor wedding ceremony that wasn't to be, however for Sarah and Bill who were married in the Yorkshire wedding barn in October, perhaps the old saying rang a truth as the day could not have gone better. 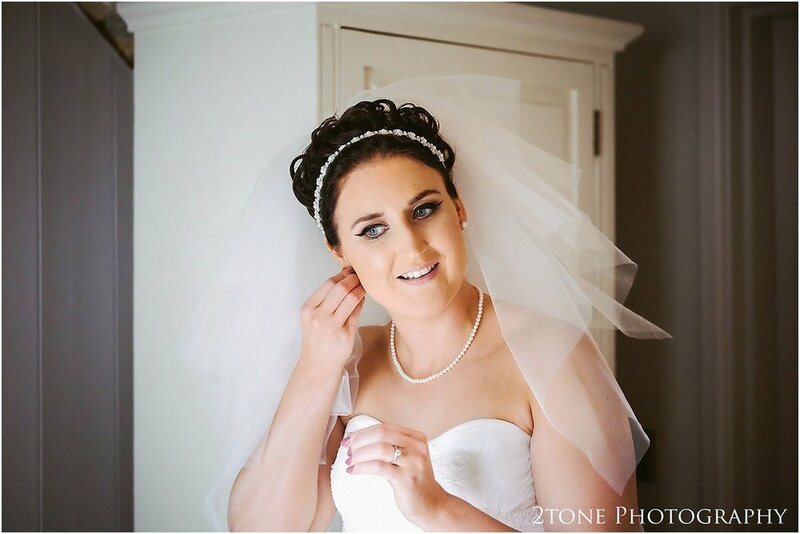 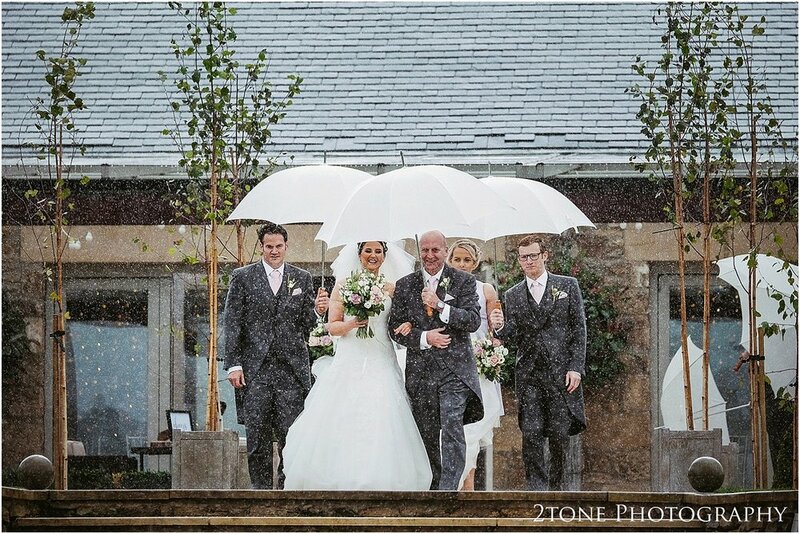 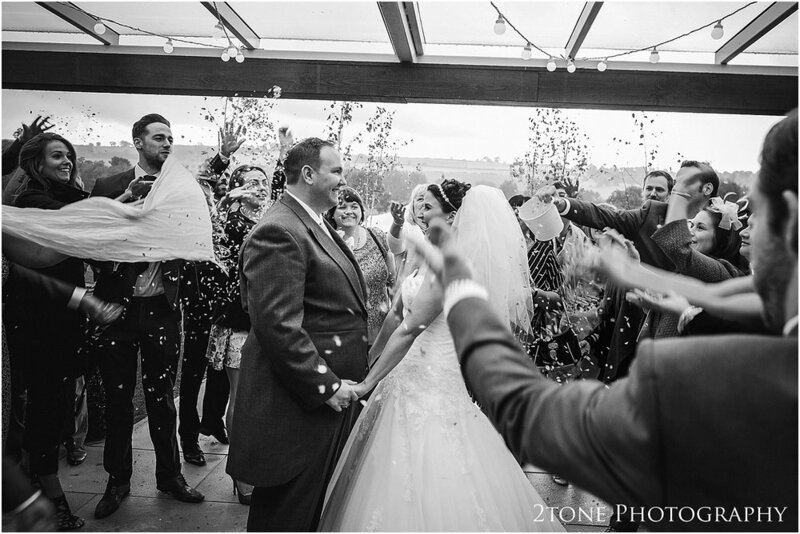 The sky's opened and it poured down just as the bride was about to walk down the aisle. 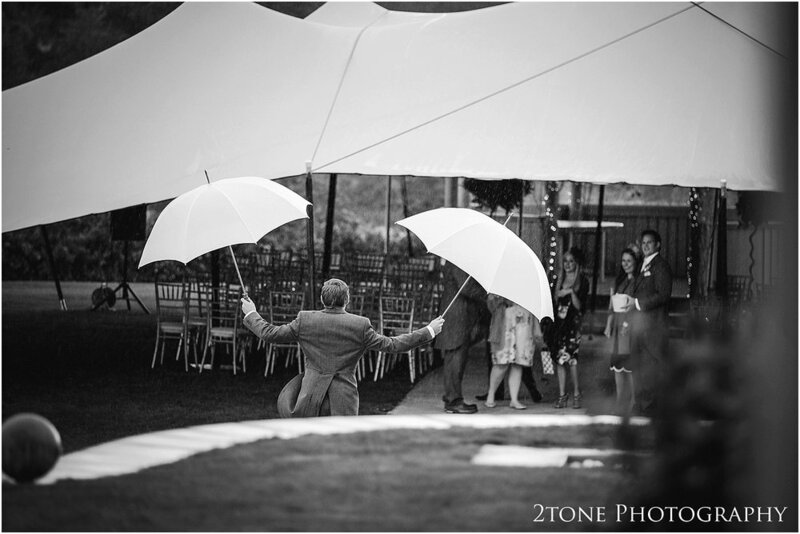 The rain pummelled on the canopy with a constant roar and the water poured off of the canvas in sheets. 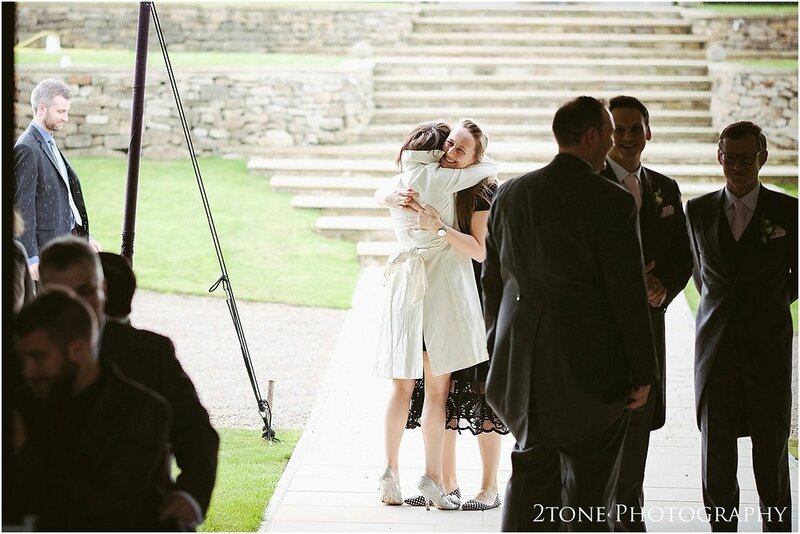 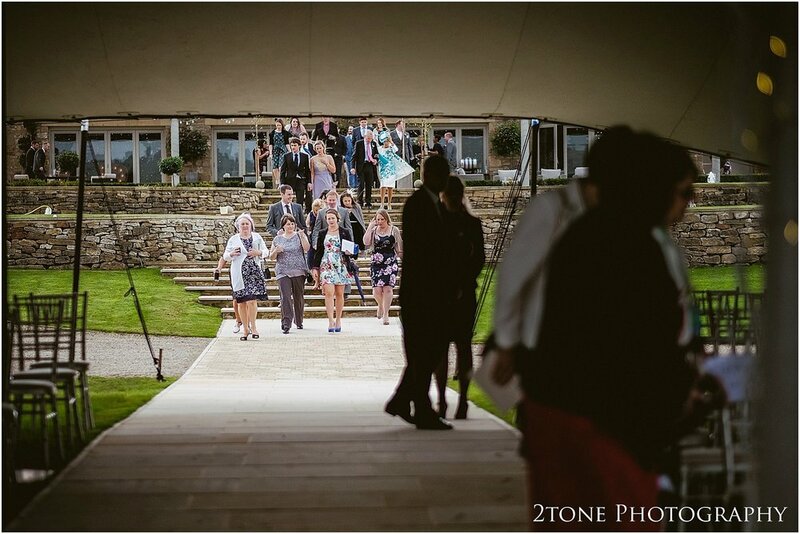 Sarah looked stunning and elated as she walked from the barn, a ceiling of brolly's surrounding her to her outdoor ceremony. 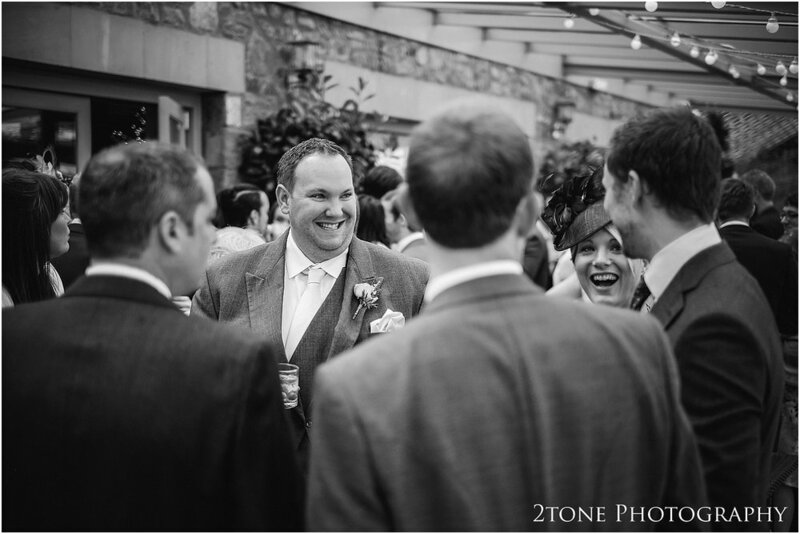 Her infectious happiness spread throughout the entire place and did not stop for the rest of day. 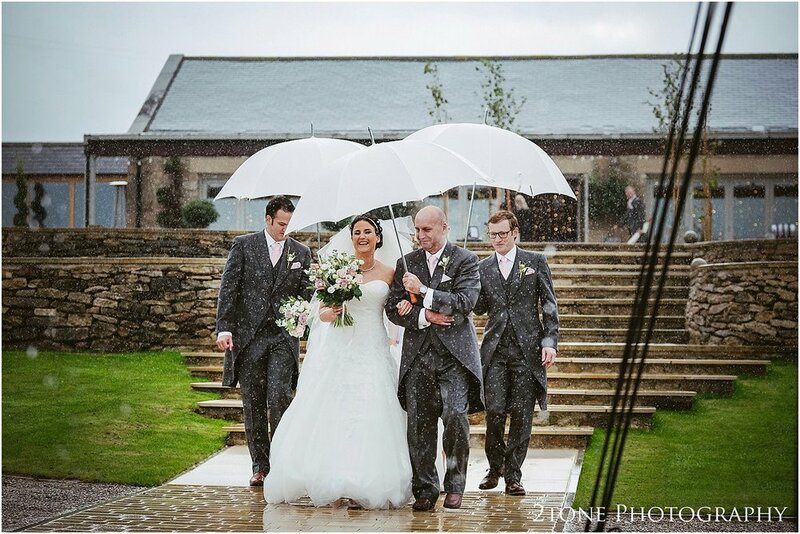 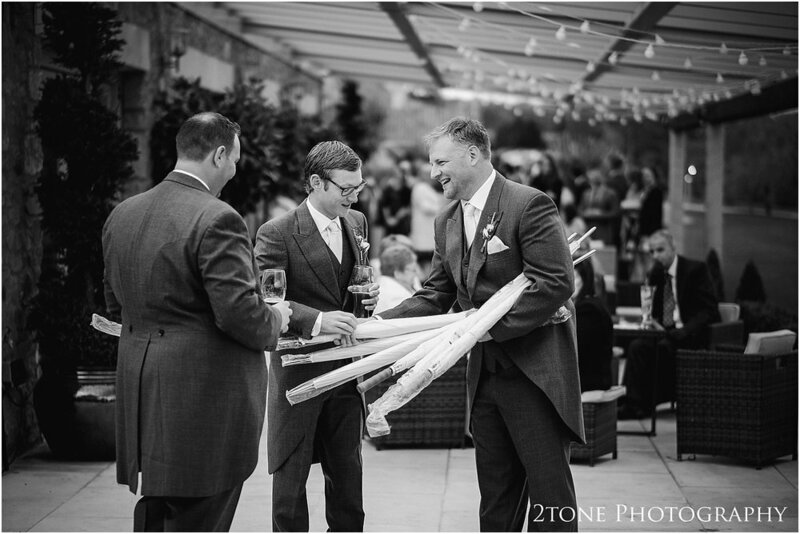 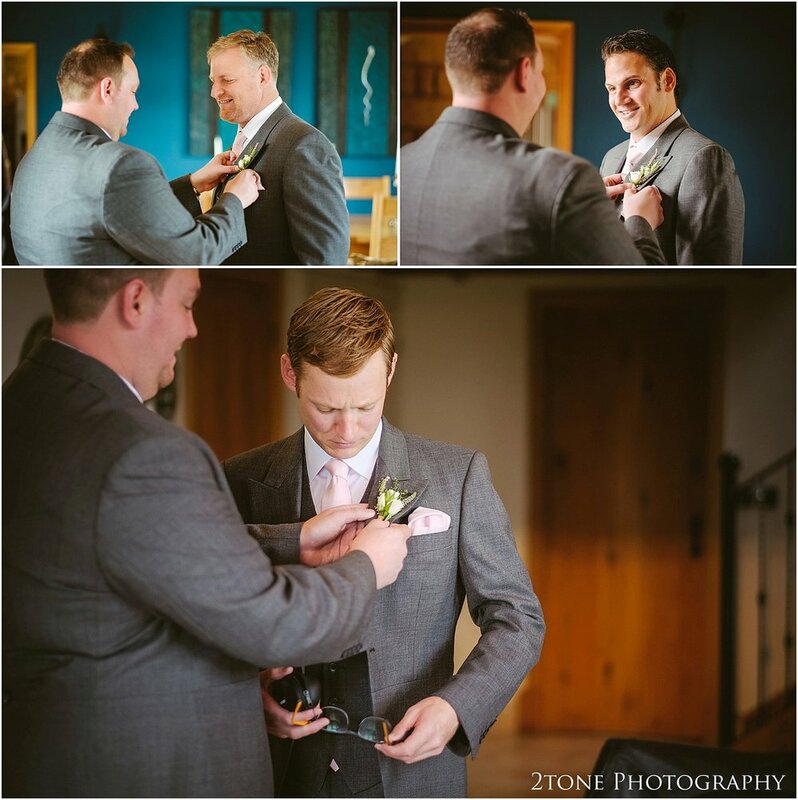 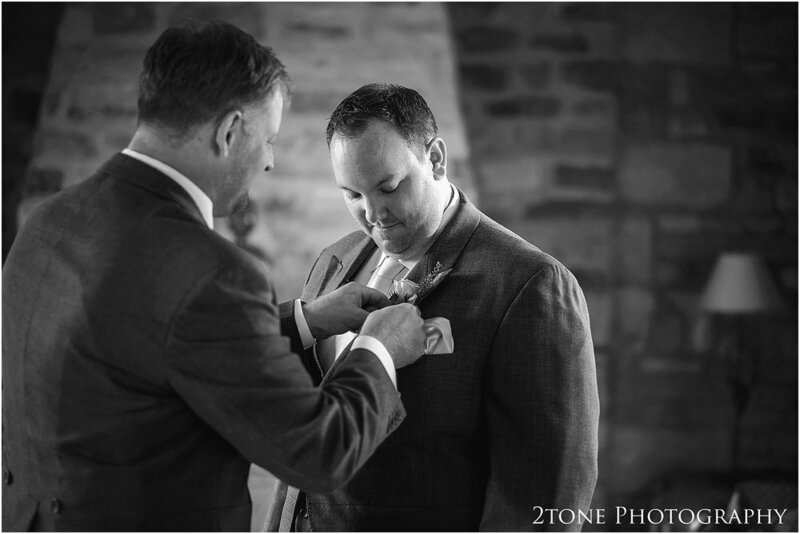 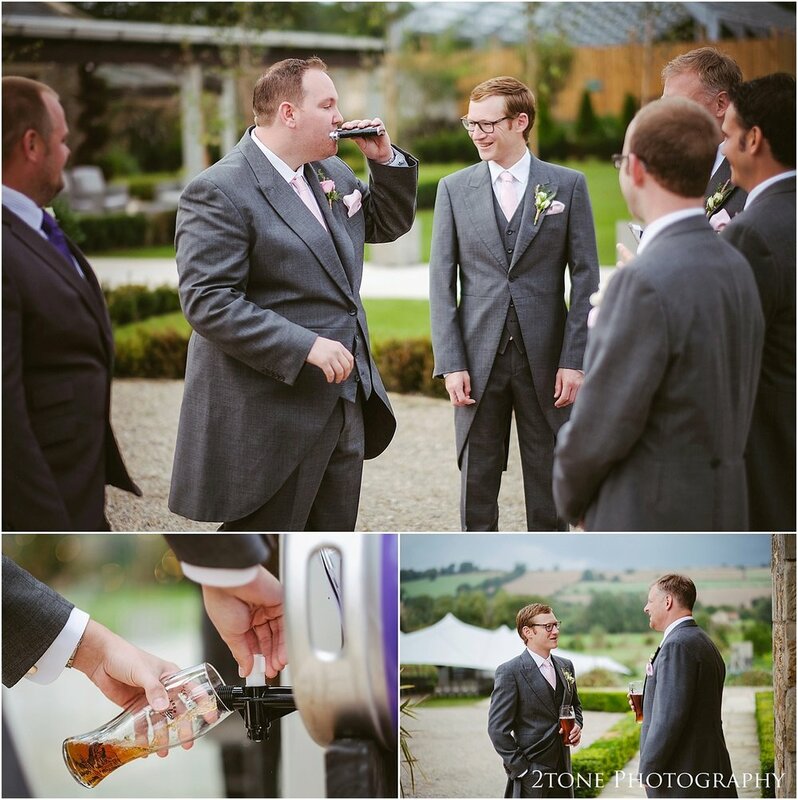 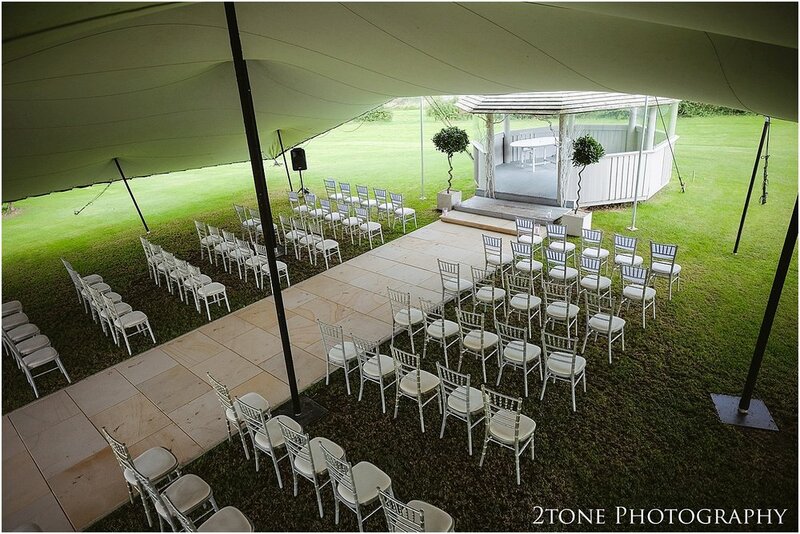 The wedding ceremony went ahead in not exactly the way the had both envisioned before hand but with the help of some good spirited groomsmen and their brollies and a great team at the barn it could not have gone more smoothly. 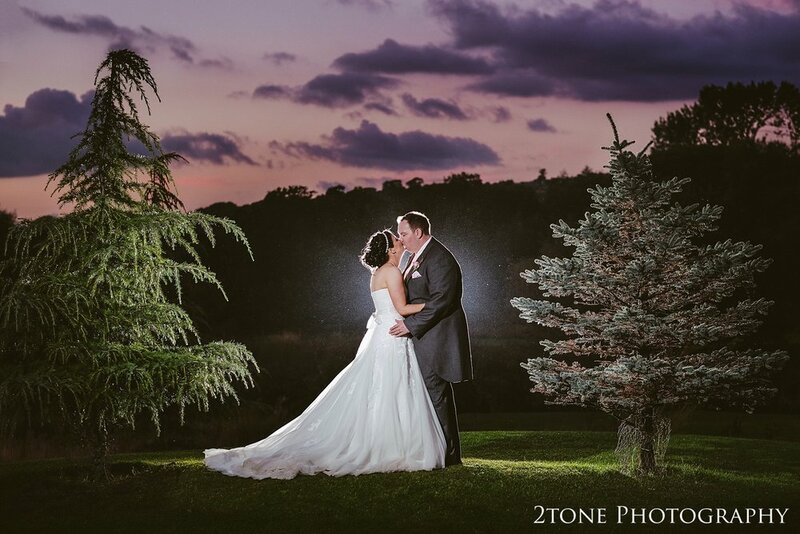 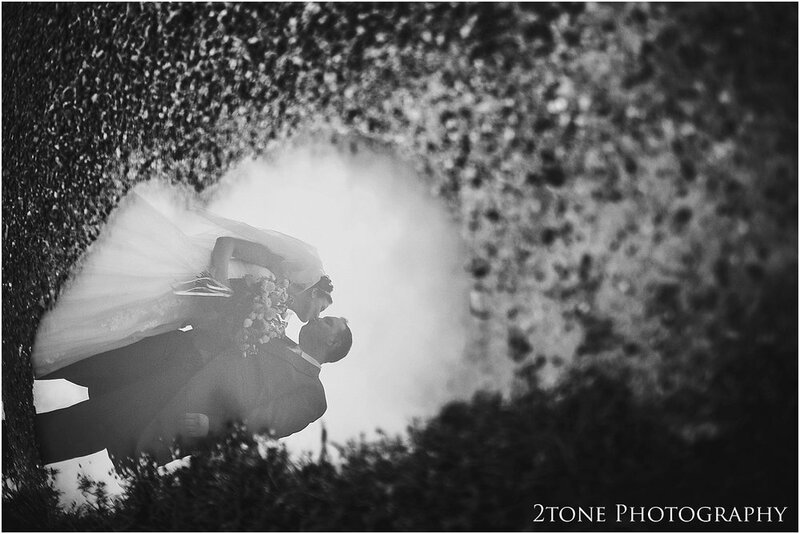 The bride and groom, both lovers of the outdoors embraced the weather and and made it a part of their perfect day. 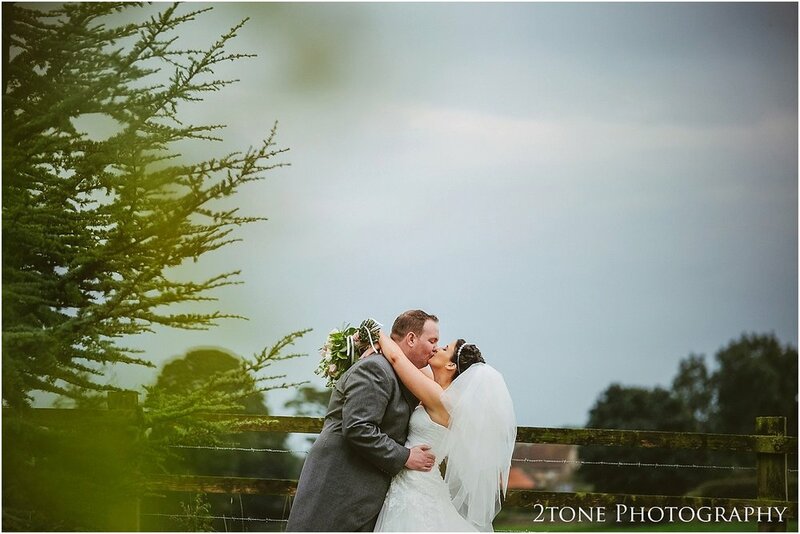 It was a fantastic day with a really wonderful couple full of life and energy married in a stunning countryside setting. 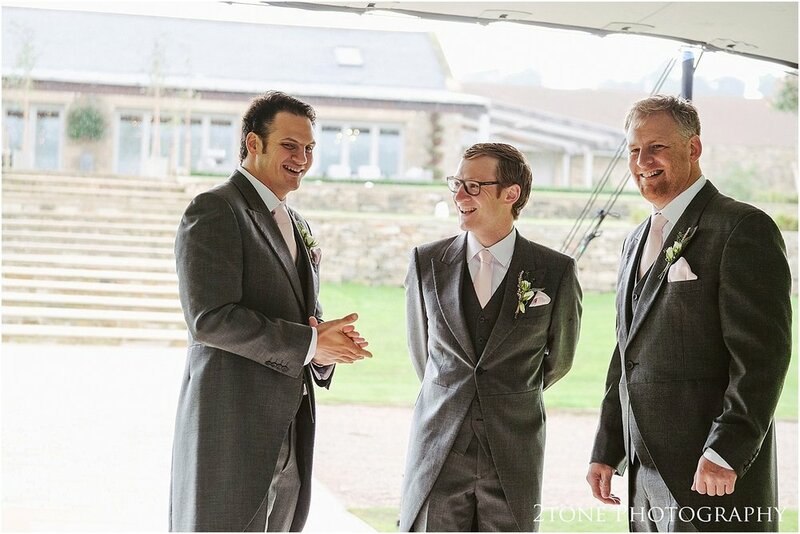 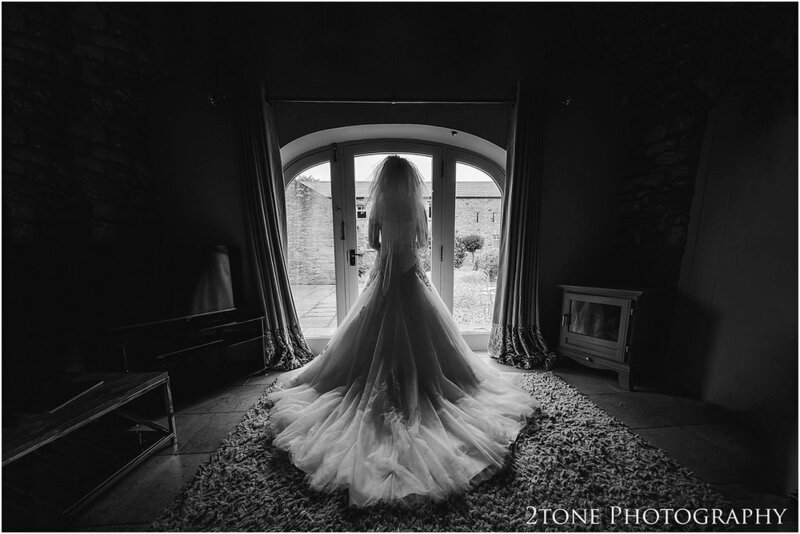 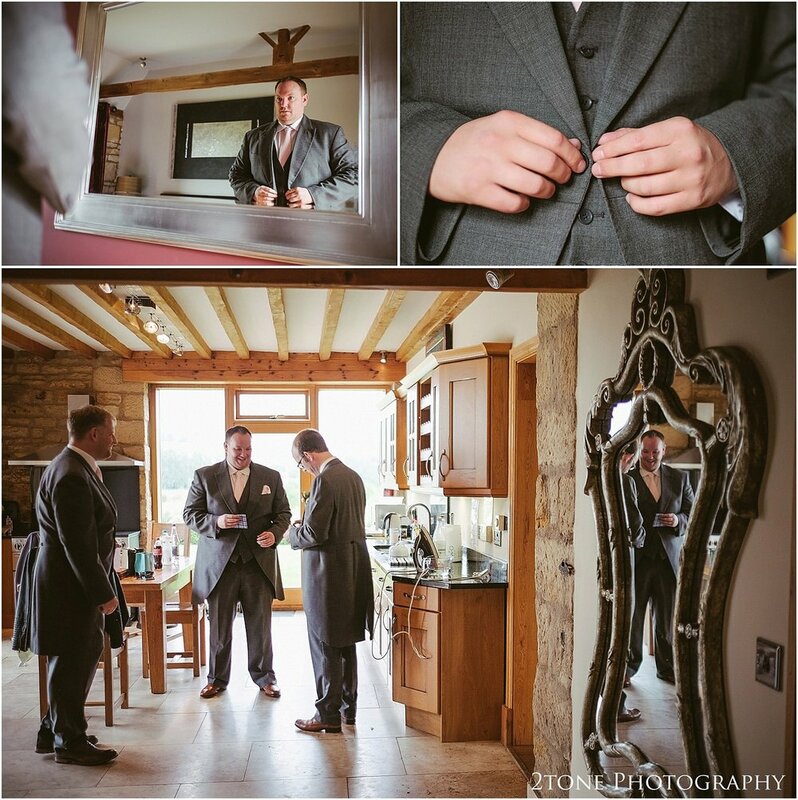 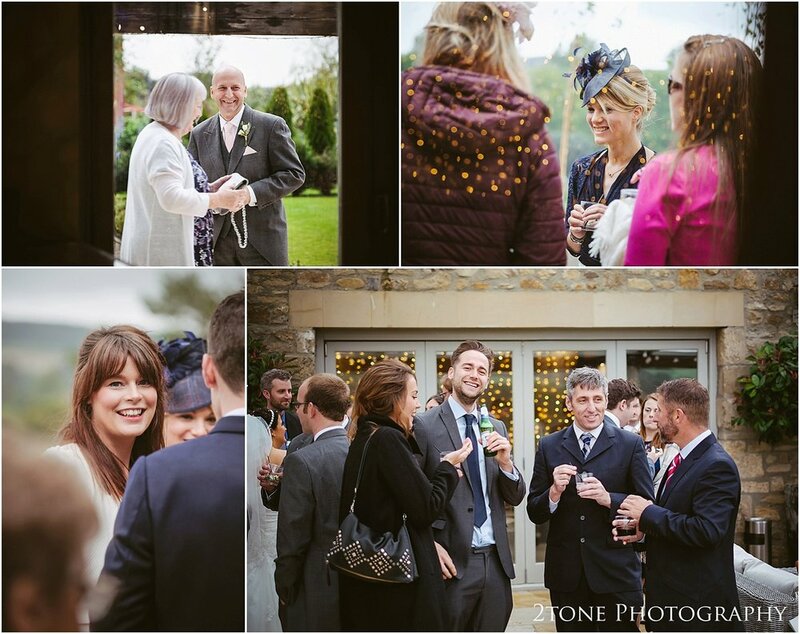 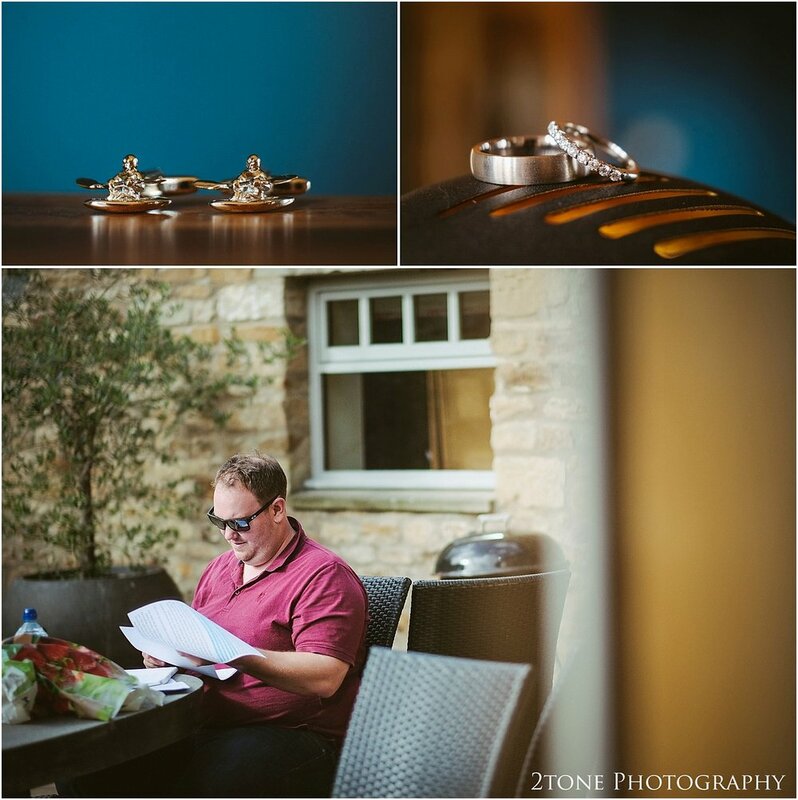 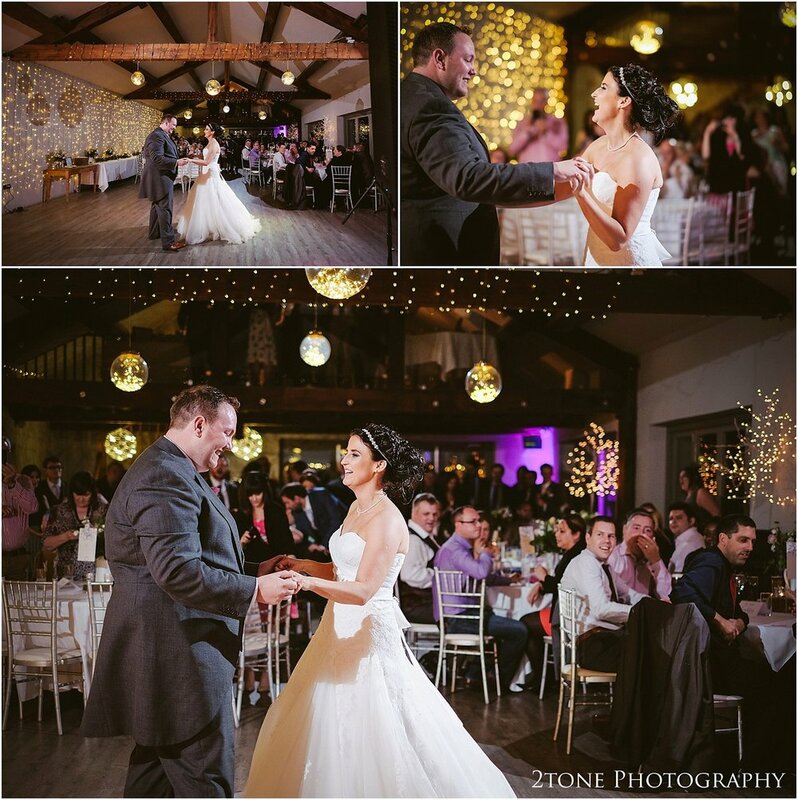 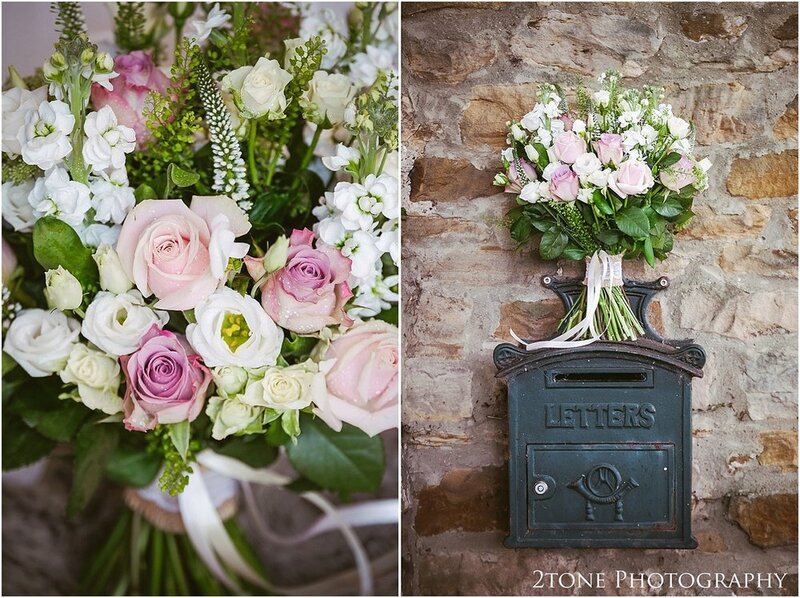 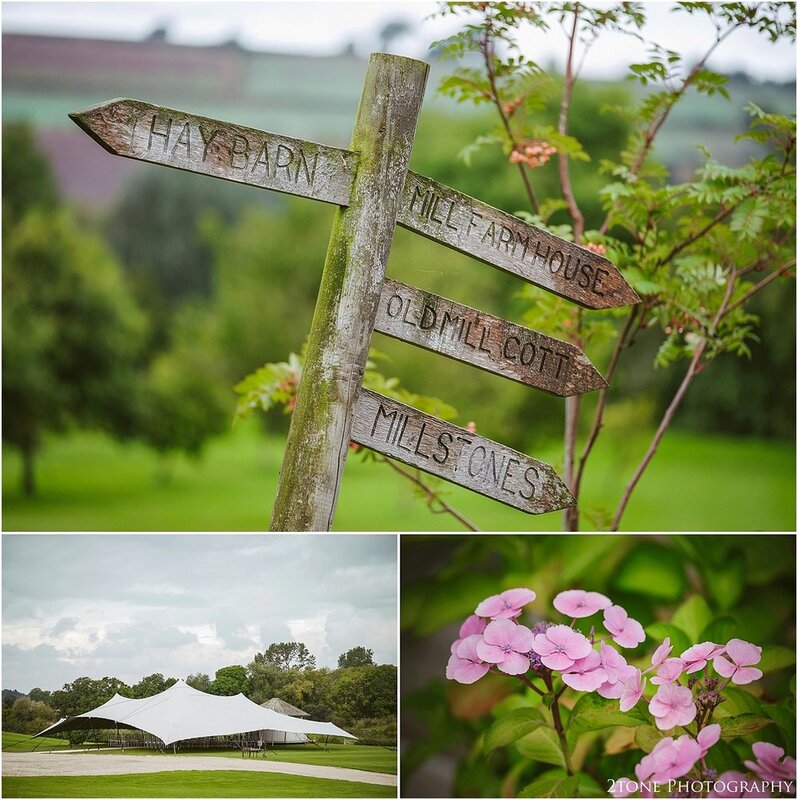 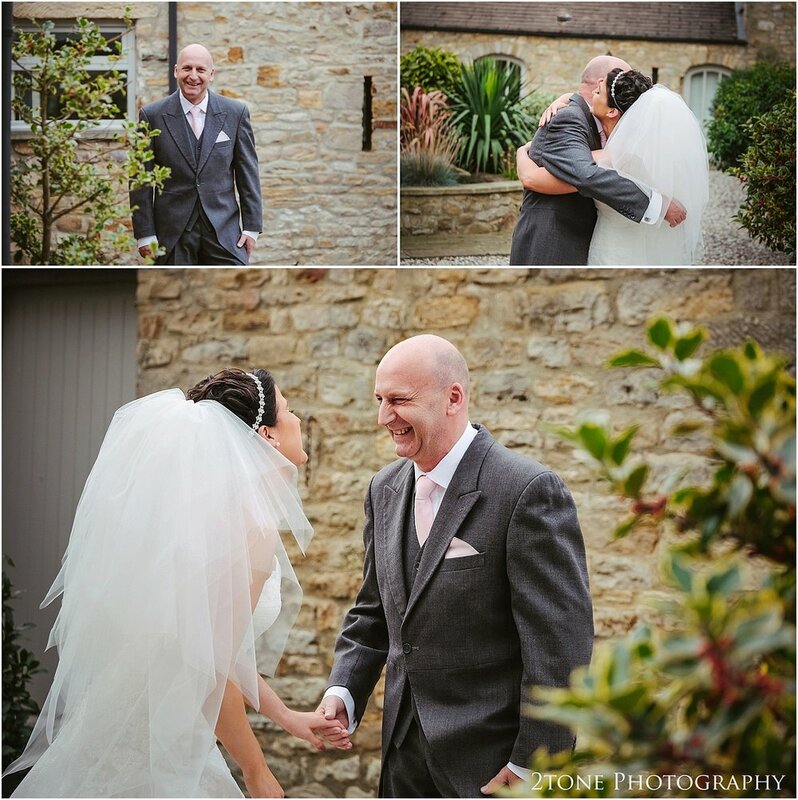 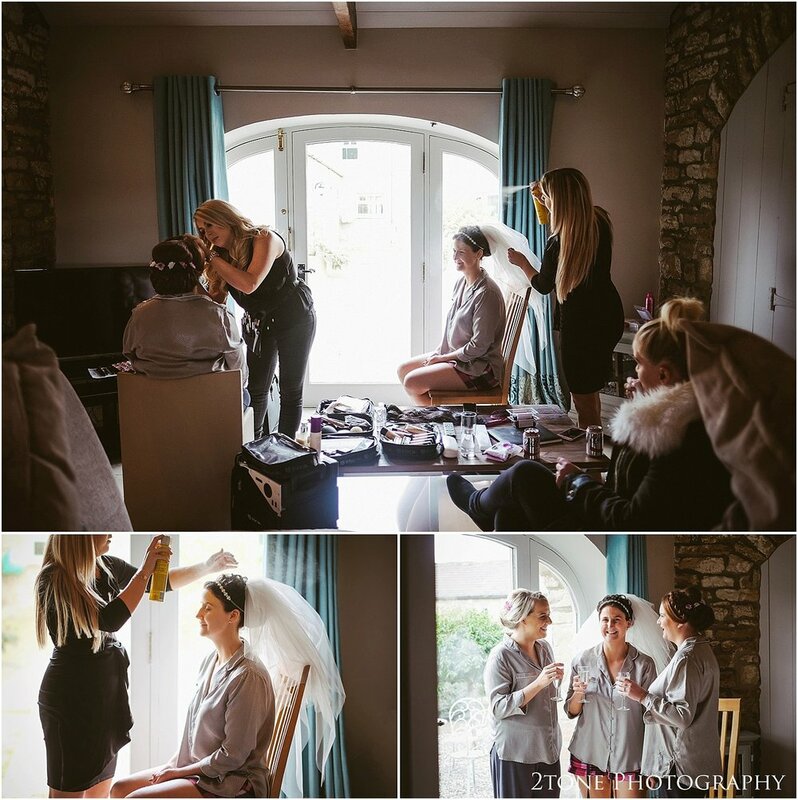 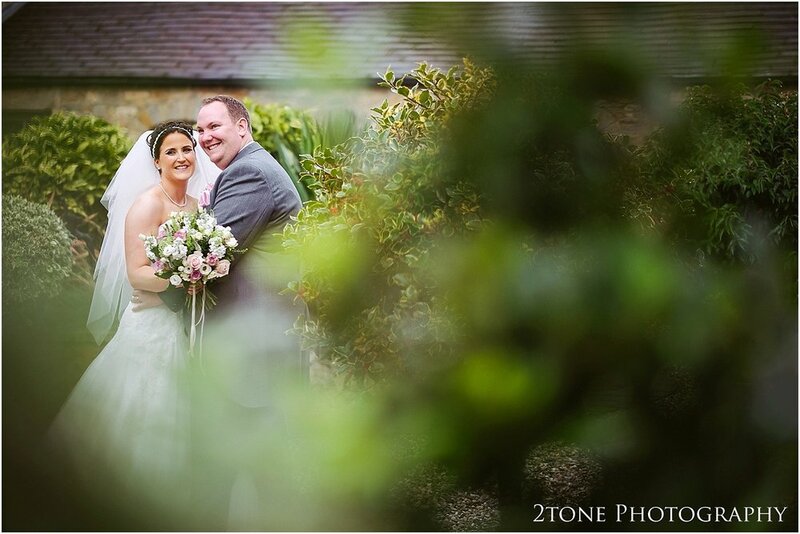 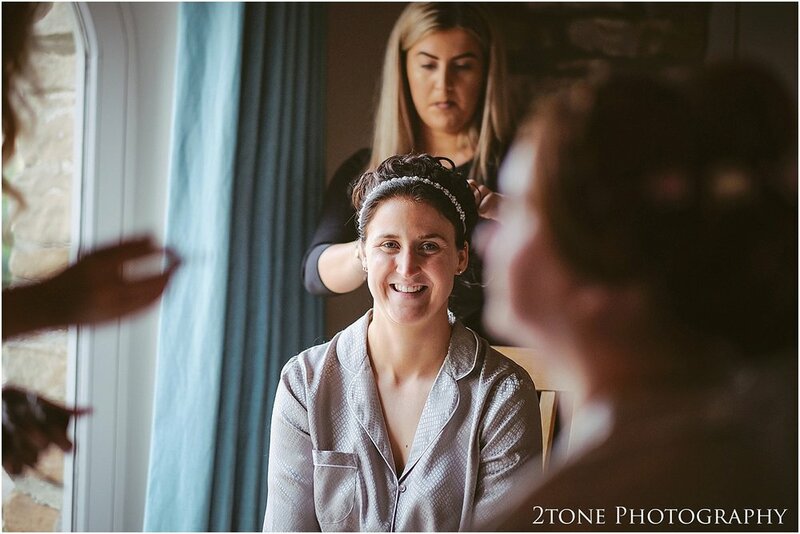 I was so happy that our first visit to the Yorkshire wedding barn was for Sarah and Bill's unforgettable wedding day.